The modern legacy of the MARDUKITE movement surpassed all the original expectations held by those involved at its inception. No one could be certain what the future would hold when JOSHUA FREE decided to publicly launch ‘Mardukite Ministries‘ coinciding with the release of ARCANUM (Liber-A) and BOOK OF ELVEN-FAERIE (Liber-D) at the 2008 Summer Solstice with the First National Mardukite Convocation taking place in the original Offices maintained in Greenwood Village, Colorado until late 2009. Initial work by a covert underground ‘Mardukite Research Organization‘ (Liber-A and Liber-D) paved foundations for later developments. Two years went toward founding the MARDUKITES directly. 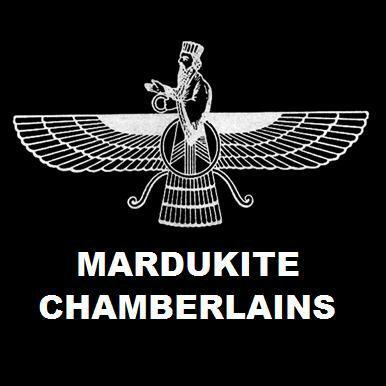 From late-summer 2008 through late-summer 2009 (designated officially as the “Year-1” period), an intensive cycle of work establishing a satisfactory ‘core‘ for the revival interest of the Babylonian-specific “Mardukite” tradition. A large quantity of colleague contacts and productive peers were either pulled into the ranks or encouraged to collaborate with exhaustive volunteer efforts. This cycle included the now infamous Necronomicon of Joshua Free (Liber N), in addition to its companion pieces: Necronomicon Liturgy & Lore (Liber L), Necronomicon Gatekeepers Grimoire (Liber G) and the originally untitled Necronomicon Shadows (Liber 9) – all of which later appeared in the Mardukite Year-1 Anthology: THE NECRONOMICOM ANUNNAKI BIBLE. After making his first tour of the Pacific Northwest in late 2009, JOSHUA FREE replanted the Offices in Castle Rock, Colorado several months later — in the foothills of the Rocky Mountains. For nearly two years the ‘Mardukite Research Organization‘ remained headquartered from that location for the Year-2 and Year-3 cycles of R&D, materials for the Year-2 Anthology, GATES OF THE NECRONOMICON, culminates together Sumerian Religion (Liber 50), Necronomicon Revelations (Liber R) and Babylonian Myth & Magic (Liber 51, now revised as Sumerian Tradition). The bulk of supplemental Year-3 work and the Year-4 cycle were formed and compiled into anthologies during the first half of 2012, when the West Coast publicity and research tour required JOSHUA FREE to relocate to San Francisco, California on December 31, 2011, the ‘Mardukite Home Office‘ was no more, now operating underground as the ‘West Coast Satellite Office‘ in 2012 and most of 2013. JOSHUA FREE repeatedly traveled between SF, San Jose and the O.C. during this period — including a surprise appearance at BURNING MAN 2012 — guest of Canadian Mystic and Sumeriologist, SIMON METKE. JOSHUA FREE edited the first two years of Mardukite work together — Necronomicon Anunnaki Bible and Gates of the Necronomicon — into a prestigious 826-page volume: NECRONOMICON : ANUNNaAKI LEGACY (Silver Edition). 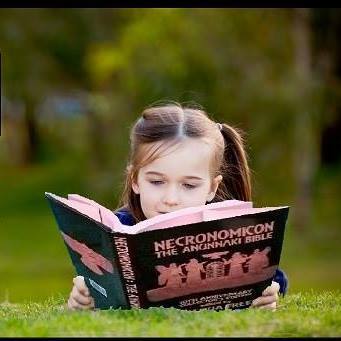 Given the positive receipt of the edition, the third and fourth years materials were brought together in the NECRONOMICON GNOSIS : ANUNNAKI LEGACY (Gold Edition). Attention and fanship of publications produced by Mardukite Truth Seeker Press continues to build momentum and numbers all around the world (and now, the local Solar System) as those with the human condition (and other metahuman, transhuman or ubermensch varieties) are awakening to the self-honest truth of their existence, where they came from and ultimately, where they are going. — V : THE VAMPYRE ACADEMY, and its core materials prepared for publication by JOSHUA FREE, the MOROI BOOK OF V : A VAMPYRES BIBLE, introducing futurist Moroi CyberVamps to the public counter-culture scene. This venture (“Projekt Nacht”) is still active and in session for 2016. In this new millennium of uncertainty it is likely that the unveiling of the past will reveal our future… and let us band together to engineer the best one imaginable! BY THE END OF THE DARK AGES, Vampires had all but become extinct in society. FamTrads of Eurasia simply went underground and were forgotten. This began an Underworld social network of cultural exchanges independent of humanity. The legends evolved into Victorian Vampyrism, where they were welcomed into a new fiction genre – Gothic Horror. John Polidori’s Vampyre, inspired by an outline from Lord Byron, is the first male “Vamp” to demonstrate charisma, charm and the seductive use of sexual prowess. This classic novella initiates a shift in public attitude toward Vampires. Vampyric portrayals move away from demonic monsters depicted by the church. They evolve into a more traditional “aristocratic” elitist family-style that we generally associate with them today. NEW *REVISED EDITION* NOW AVAILABLE! “A Vampyre’s Bible: The Moroi Book of V“ shatters the gateway to the subconscious wherein lies an insatiable mortal fascination with “Vampires” and the Undead. Here is REAL vampyrism at your fingertips! The code of silence is broken… Modern day Creatures of Night are coming out of their coffins and crypts to reveal the Legacies of the “true” Darksiders throughout history; from Lilith and Cain in ancient Mesopotamia to futurist “Goths” and CyberVamps. Prolific author and world renowned occult expert, Joshua Free, presents a unique revolutionary volume drawn from 20-years practical experience and a hereditary family tradition of Living Vampyres – Moroii ad Vitam – an authentic spiritual system existing for centuries underground across Europe and America, emphasizing balance, transformation and defining our relationship with the Universe. Drink deeply from the True Blood of our history, traditions, magical theory, Egyptian practices, energy work, dark mysticism, and ethical Moroi techniques of “astral feeding” for “energy vampyrism” in the 21st Century. Here is your own personal Vampire Academy all in one place! The Ultimate “fangs-on” Guide to the Creatures of Night & Living Undead! When Adamu and a hybrid female, Ti.Amat (“Mother of All Life”), proved unable to procreate, they are brought to Eridu and given the forbidden additional “life essence” from ENKI, Adamu and Anunnaki ‘goddess’ NINMAH. This upgrade made reproduction possible. The Talmud and Genesis regard Cain’s bloodline as separate from the rest of humanity. Scriptures of “enmity” against the progeny of Adam. A separate Blood Legacy is credited to Lilith and Cain. Eventually the Church removes all references to this from their sanctioned scriptures. After killing his brother Abael, Cain is exiled from Eden (E.DIN – Mesopotamia). He goes west to the Lands of “Nod” – literally, the region of “Wanderers” existing outside of the Realm. Standard scriptures reveal that in the “Land of Nod” he is united with his cousin, Lilith. Although Lilith bore offspring with others, It is Cain‘s Legacy that takes priority concerning the modern Living Vampyre tradition. The “Children of Nod” are born into an eternal covenant as Children of Night – Nodites – the Eternal Wanderers. These Wanderers of the Night are later reclassified numerous times throughout history as demons, dark fallen angels, the damned, elves and fairy fey, dragons, the light people, and as of recently, extra-terrestrial aliens. For the purposes of this current study, We consider all of these referring to the same thing.